As the Secretary of the Royal Scottish Geographical Society, one of Sir Ernest Shackleton’s duties was to engage speakers for the annual season of lectures. 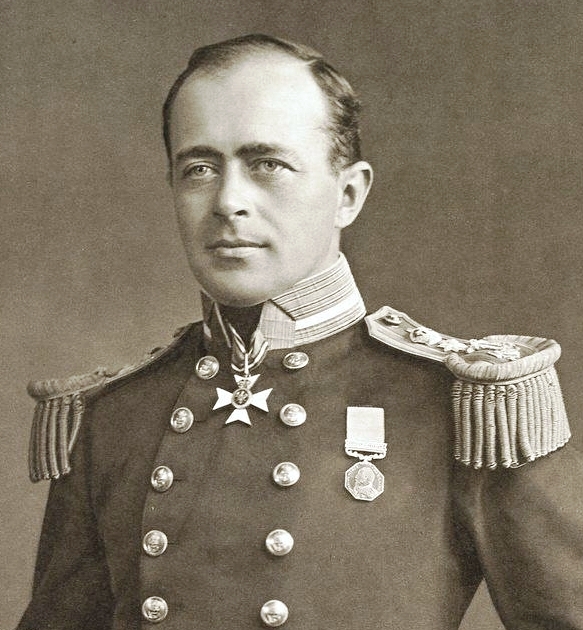 In November 1904 he welcomed his old ship-mate and rival, Captain Robert Falcon Scott. It must have been a little bit awkward for both men. Scott had just returned from the Antarctic, where his ship Discovery had spent two winters stuck in the ice. He had made some important geological and zoological discoveries, and although he had not attained the Pole he had reached a latitude of 82°17′S, which was acknowledged to be a record for the ‘Furthest South’. With him on that trek had been Edward Wilson, a doctor and zoologist; and the Discovery’s Third Officer, Ernest Shackleton. Much has been said about the relationship between Scott and Shackleton on their only expedition together. Scott was undoubtedly in command, but he lived by the rules of the Royal Navy and he was happier to feel a deck beneath his feet than a thousand miles of ice. He was in unexplored territory in more ways than one, and the weight of responsibility made him nervous. Meanwhile, Shackleton was everything that Scott was not: jovial, expansive, spontaneous; he respected authority, of course, but you feel that he would always know a last word, even if he didn’t say it. The two wouldn’t have got along very well in a drawing room after half an hour, so to put them together in the Antarctic for over a year was asking a bit much. In 1903, after the Discovery’s first Antarctic winter, a relief ship was sent by the British government to accompany the ship on her homeward journey. When it became apparent that she was not going to break free of the ice, Scott sent some of his men home on the relief ship and kept the others with him for another winter. Among those returning home, and much against his wishes, was Shackleton. 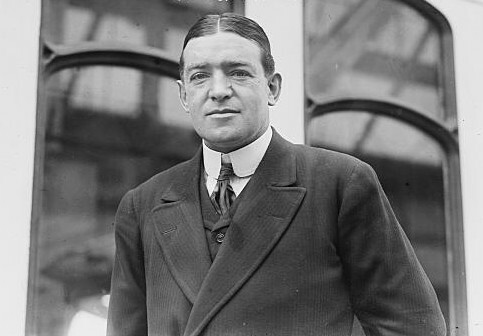 Scott cited Shackleton’s poor health as the reason for his decision; in recent years, it has been suggested that Shackleton had a heart defect, but there was no proof of it at the time, and his unexpected appearance in London several months later, as vigorous as ever, caused a few raised eyebrows. For himself, Shackleton was mortified by the slur on his physical capabilities. So, the next year, when the Discovery arrived back in Britain, Shackleton was most likely smiling through gritted teeth. Greeting his former Captain as a celebrated polar hero must have been something of a trial. Had selfies been around at the time, it’s unlikely that they would have posed for any. When Scott gave his lecture to the RSGS in the Synod Hall, Edinburgh, he was flanked by an impressive array of dignitaries including the Earl of Camperdown, Lord Playfair, Lord Trayner, and Sir Clements Markham. The geologist Professor James Geikie chaired the proceedings. Reading between the lines, something of Scott’s personality becomes apparent through glimpses captured by the newspaper. He illustrated his talk with a series of lantern slides, showing the bleak landscape of glaciers and mountains, along with snapshots of life aboard the Discovery – its “amusing, adventurous, and disagreeable aspects.” The Scotsman reporter noted that “uncomfortable” and “unpleasant” were the strongest adjectives he used to describe times of suffering, and his attitude throughout was one of bright good humour. Even in the most extreme circumstances, it seems that a strict Naval tradition prevailed in the daily routine: Scott revealed that the crew members dined at one o’clock, and the officers dined at six, but the meal would always consist of seal meat – unless it was Sunday, in which case they enjoyed some of the mutton that they had brought from New Zealand. The four months of darkness passed pleasantly enough, with an abundance of work and exercise, and “the evening walks were made picturesque by magnificent displays of aurora australis.” The lightness of tone is so reminiscent of that era, when men were expected to do their duty without drama or complaint, and afterwards dismiss it like a fleck of dust on their lapel. To me, Scott always seems to be hiding a certain vulnerability, endearing because it was so human; he was a reluctant but determined superhero, and in the end he proved it by paying the ultimate price. 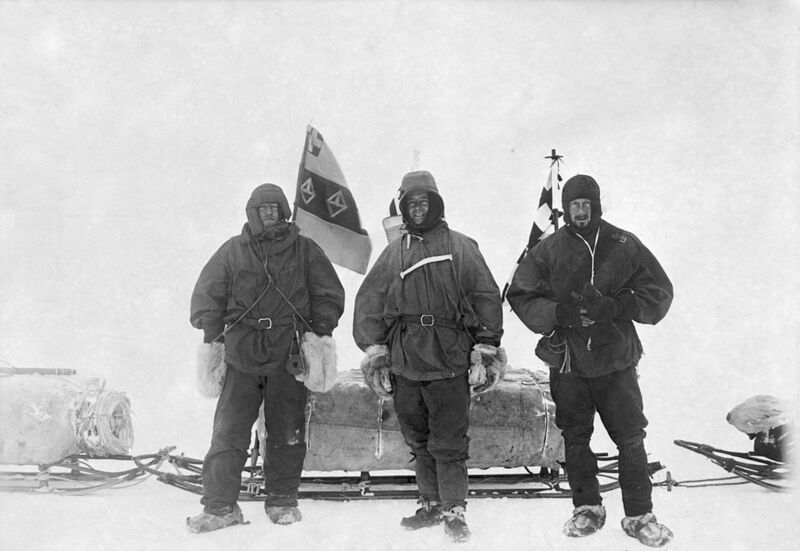 One of the highlights of the adventure was, of course, the three-month sledge journey which Scott made in the company of Shackleton and Wilson, achieving a ‘Furthest South’ of 82°17′S, which was of “thrilling interest” to the audience. Scott, with Shackleton no doubt looking on, described how, for ninety-two nights, the three slept in a small tent until “they knew every stitch of it”, and their daily rations were cut down so much that it took extreme discipline not to break into the next week’s supply. But at Christmas, to the astonishment of Scott and Wilson, Shackleton produced a plum pudding about the size of a cricket ball, which was, said Scott, “a day to remember all your life”. If anyone was going to come up with a Christmas pudding in the Antarctic, it had to be Shackleton. The lecture concluded with a glowing tribute by Scott to his officers and crew, and the Society’s vote of thanks was comprehensive and heartfelt. Despite his inexperience, Scott impressed his listeners with his remarkable story told in “plain and modest” language. It is touching to think that the expectations of that time, especially of a Naval officer, frowned on any show of real emotion: nothing beyond the decorous, nothing to shock the ladies. Shackleton, on the other hand, took great delight in shocking the ladies, and the trouble was that most of them liked it. Scott had taken his first shot at the South Pole, and it had fallen short; Shackleton knew that he would try again, and he longed to make an attempt himself. Some daring ideas began to revolve in his head. In August 1907 he ventured south in the Nimrod, the first of three expeditions under his own command; and in 1909 he returned to the RSGS to share his own colourful memories. As for Scott, he went south for the second and last time on the Terra Nova in 1910. When Shackleton quit his post at the RSGS at the end of 1905 he left behind him a much-changed Society. Whether it was his revolutionary attitude, or the level of public interest in the Society’s guest lecturers that season – or most likely a combination of both – the membership figures had swelled considerably. It certainly was a remarkable couple of years, from a wider perspective as well. The chance of seeing both Scott and Shackleton on the same platform on the same evening was a piece of history that many people perhaps appreciated only in hindsight – but what an astonishing opportunity, unforgettable, filtering down to us now only in unexpected snatches, yet moving us all the same. Further reading: ‘A born leader of men: Sir Ernest Shackleton in Edinburgh‘. Images: all in public domain. 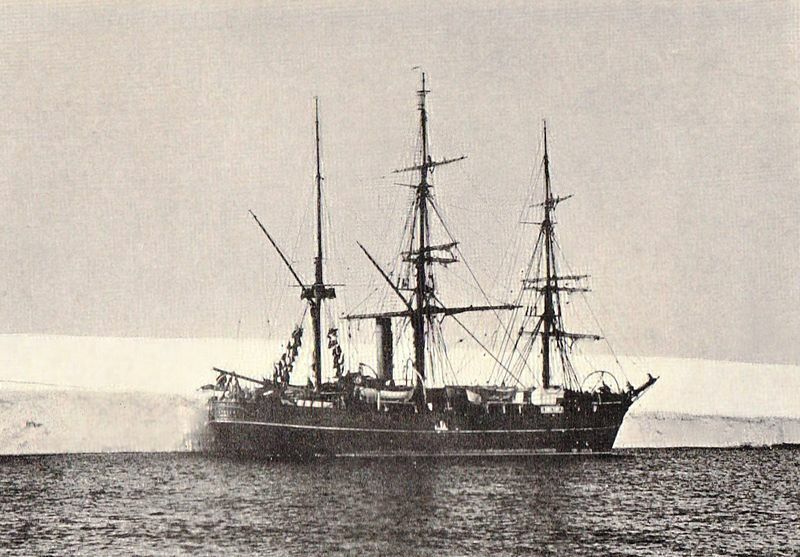 Photograph of Discovery from ‘The Siege of the South Pole’ by H R Mill, 1905. Photo of Scott attributed to Henry Maull and John Fox, reproduced in Scott’s book, ‘The Voyage of the Discovery’. Photo of Shackleton, Scott and Wilson attributed to the National Library of New Zealand. As always, absolutely fascinating and compellingly written. I didn’t realise the extent of the friction between the two men. Seeing them both on the same stage would have been a memorable event indeed. It looks as if you’re learning a great deal through your work with RSGS, and it’s wonderful that you share it on this blog. You’re gaining unique insights into the fascinating world of exploration and the inspiring characters involved. I love it! I look forward to those. I’m sure I have a book about Mary Kingsley and Cameroon somewhere. It’s years since I read it but I seem to recall it was quite a jaw-dropping read.